The upcoming Injustice: Gods Among Us balance patch has a release date. Mark your calenders because Oct. 1 will be the date of buffs and nerfs. Rent? 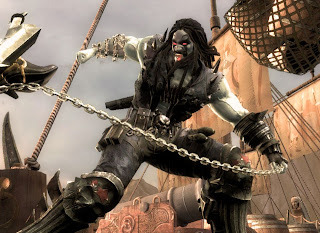 Please, the first of the month belongs to NetherRealm. Ed Boon took to Twitter to reveal the date for the Injustice: Gods Among Us balance patch. That date is Oct. 1. For the past few weeks, Boon has been teasing changes for characters such as The Joker, Cyborg and Ares. NetherRealm plans to release full patch notes this Tuesday (Sept. 24). INJUSTICE Game-Play patch arrives on Tuesday October 1st. Full Patch notes (characters and overall game play) will be posted Tues Sept 24 !